City life isn't perfect. There are times where after a long week of fast paced productivity, you just want to slow down and take it easy like going to Baguio, to Tagaytay or to the beach. These are hot destinations that are hours away and could be a chore. 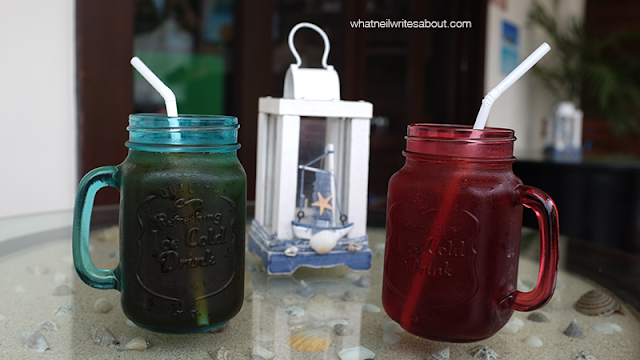 RED Sandbar aims to bring that relaxing beach vibes to the city! So could Sandbar be the place to be? Sandbar isn't particularly huge in terms of real estate but is divided into three sections. The bar, the inner dining area and the al fresco area. 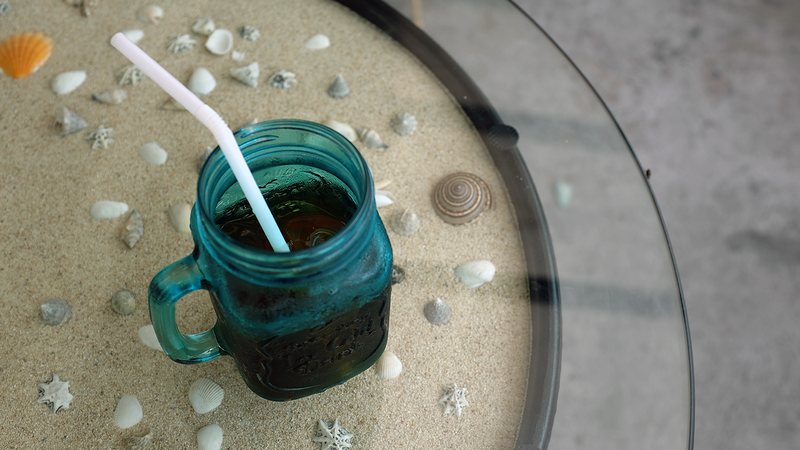 The who design philosophy is to resemble a local bar stall that was put up on the beach where you can get some food and drinks while enjoying the ocean breeze. The beach vibes continue inside! This is where Sandbar shines. Each little detail reminds us and brings the beach to us. Accents like sand and sea shells, wooden sculptures of lighthouses and boats flock the place to give us that serene feeling of the beach. For Php 150.00 this serving is too generous! One caveat I felt was that during the busy hours, the air inside gets dense with the air of deep fried oil. The opening of their huge doors for the al fresco area really helps with this. 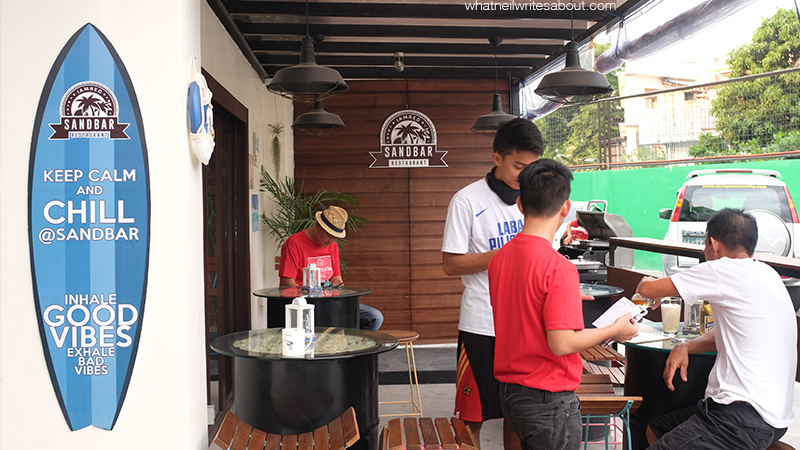 Sandbar offers a variety of All-day breakfast from the classic Silog dishes, Bolognese, Sisig, Sandwiches and Alcoholic beverages! 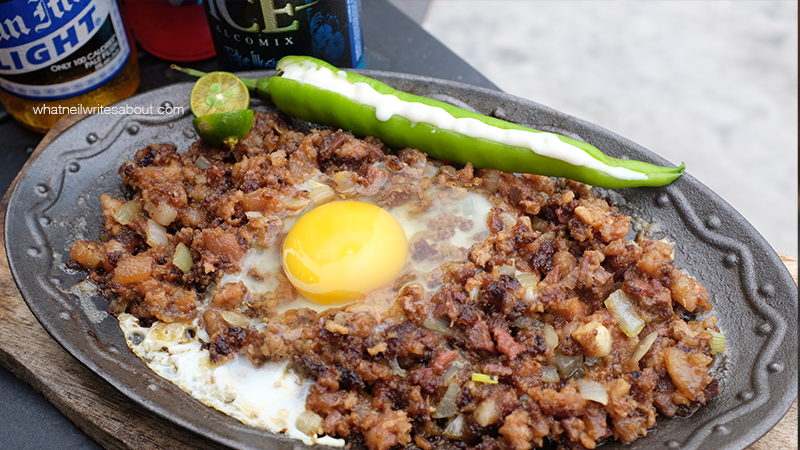 Let me tell you about that sisig! 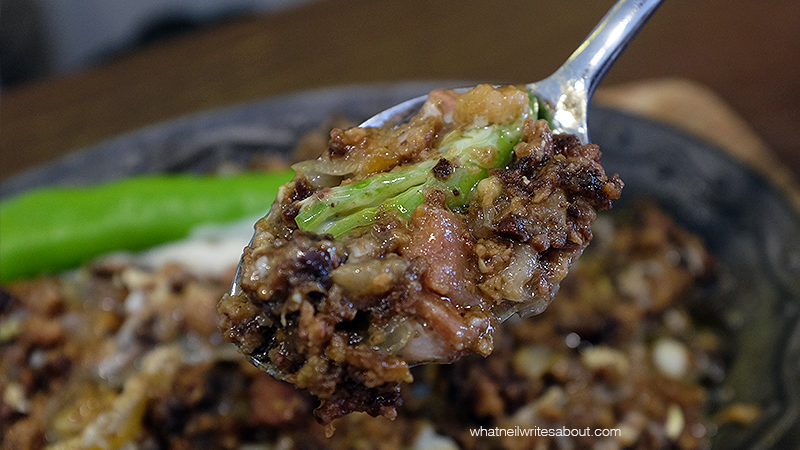 It fills 90% of the sizzling plate and the pork bits are moist and meaty. I love this because most restaurants serve less portions and with increased fatty bits. The flavor is divine plus that mayonaise on green chili is great way to add more kick to the pork flavor bomb. 90% of the sizzling plate is filled! Their best selling sandwiches are the Double Decker and the Surfer's sandwich. 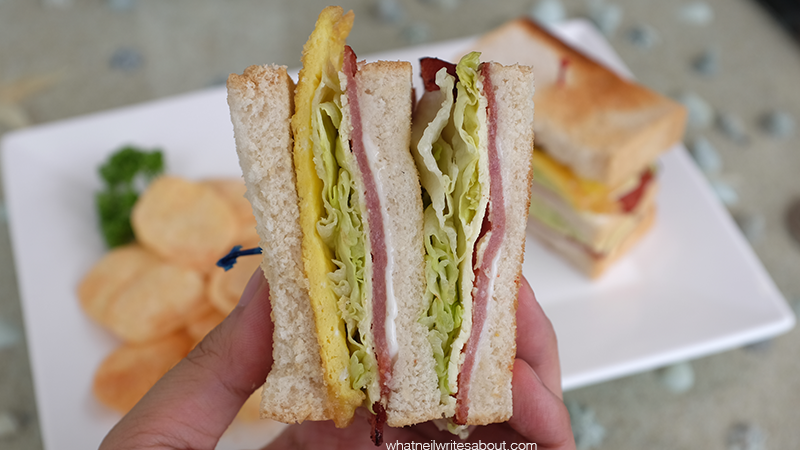 The double decker is a classic ham, egg, cheese, mayonaise double deck sandwich served with potato chips. 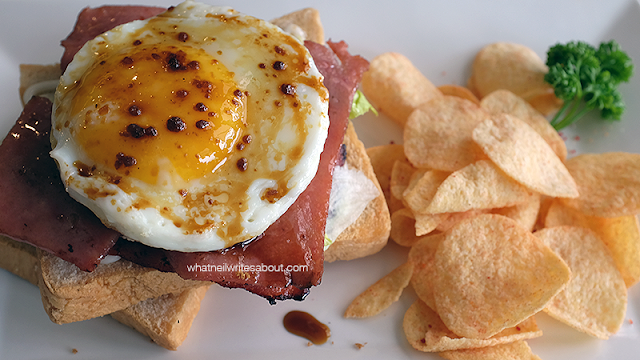 The surfer's sandwich is a combination of mayonaise, muscovado fried chicken, cheese and sunny side up egg topped with muscovado! Both are good sandwiches however I wish their choice of chips could be improved. The Double Decker up close! The thing about their dishes is that you know that the ingredients are not of the highest possible quality but the food just taste good because of the perfect technique. So their dishes are only limited by their ingredients but are at their best possible state because it has been cooked perfectly. Muscovado topped egg and chicken! The people from sandbar are an interesting bunch. They have the usual courteous cooks and waiters that are sensitive to your needs. They were willing to answer my questions about each dish and were willing to take feedback. Though some dishes take longer than the rest, each was presented well and were cooked to perfection. They are on soft opening so there are things that need refining but I think RED Sandbar will do fine. 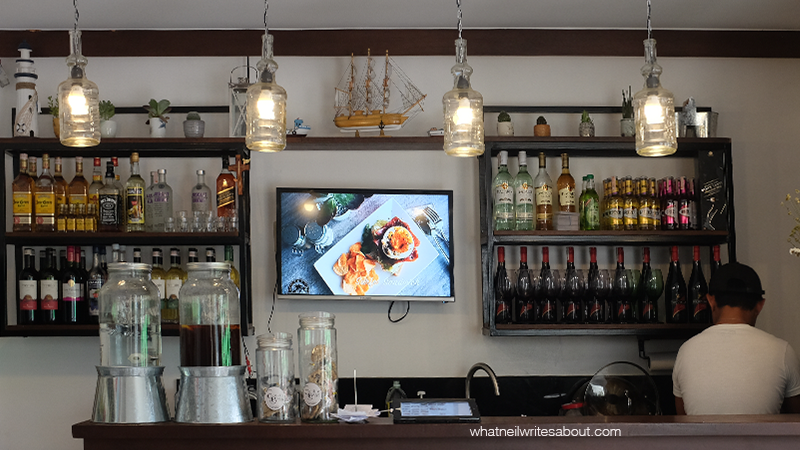 Their dishes start at Php 79.00 and could get up to Php 200.00. At this price point you cannot complain about the ingredients that I mentioned because even though they aren't the best ingredients, they are cooked and presented so well. What Sandbar Offers is the ambiance and the best possible way to cook their dishes.